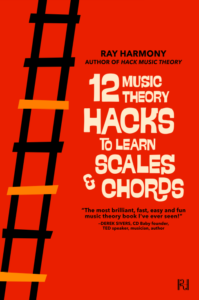 To grab a free copy of '12 Music Theory Hacks to Learn Scales & Chords by Ray Harmony' simply enter your email address! As many of you know, for the past year Vespers has been blessed to be working with Ray Harmony on music theory and composition. 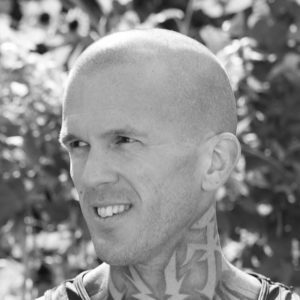 Ray has a totally unique approach to hack music theory and give you the essentials in a fraction of the time. 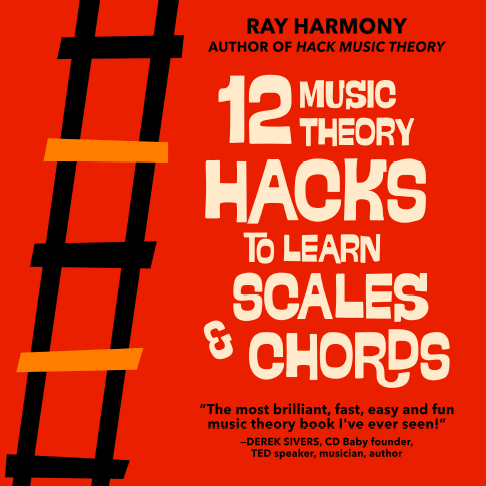 12 Music Theory Hacks to Learn Scales & Chords is a brand new eBook written by Ray Harmony. The goal of this book is simple: to break down music theory into its simplest form and then show it to you using the simplest way possible, all via a series of simple hacks. Ray starts at the very beginning, so you don’t need any prior theory experience. Just bring your love of music and he’ll bring everything else. Ray and Warp Academy are super excited to share that we’re giving away a copy of 12 Music Theory Hacks to Learn Scales & Chords to you for FREE! Simply enter your email address at the top of this blog post to grab your copy! “Theory! Scary, huh? As a music lecturer, I discovered that this six-letter ‘dirty word’ always caused an impressive array of strong reactions from my new first-year students. No other word can end the party quicker than this one. Students react in a variety of ways to this word: first, there are the flinchers, who physically tense up – often with the addition of lip curling that even the most potent salt and vinegar chips can’t induce. Then there are the sighers, who would make great trumpet players with their huge cheeks and lungs, often including eye-rolling for extra emphasis. Then there are the pee-ers, who suddenly have full bladders and need to be excused for lengthy toilet breaks, even though it’s only two minutes into the first lecture of the day. Finally, there’s the nerd – yes, just the one – who perks up and aims their pen at that blank 300-page notebook, ready for action. Don’t get me wrong, nerds are awesome – but this is a book for the flinchers, the sighers, and the pee-ers. This is a book for us, the 99%. Please stop reading for a moment. No, not yet, that was too soon. Okay, please stop reading after this sentence and take a few seconds to scan your body. Scanning, scanning, scanning. Finished? Good. If you found your shoulders tense and your lips curled, then read on. If you found your cheeks puffed out and your eyes wandering, then read on. And, of course, if you found yourself spontaneously in the bathroom with nothing to do, then definitely read on. However, if you belong to the perky 1%, then you’re probably better off reading the classic AB Guide to Music Theory from the Associated Board of the Royal Schools of Music. We’ve now established that we’re all in the right place. Welcome to a better future! A future that will find you happy, healthy, successful, rich, and – obviously – famous. Erm… theory can and absolutely will make all of these a reality, probably… well, maybe… actually, maybe not. Fine, my book isn’t going to do any of those things for you. But it kept you reading, didn’t it? That’s my mission, to keep you reading and learning, and hopefully also entertained along the journey. By the time we reach our destination of the final book in this series, you’ll have the knowledge to figure out why your favourite song is so powerful, and, better yet, you’ll actually be able to compose your new favourite song yourself, even if you don’t play an instrument – that’s what computers are for. Also, if you need an internationally-recognised qualification, or just want to be the proud owner of a shiny music certificate, you’ll have the level of education needed to write the London College of Music’s highest grade Popular Music Theory exam, which is held worldwide. So while I can’t help you diminish debt, I can help you understand what a diminished fifth interval is and amaze you with the story of why it was banned from music, all while helping you become qualified. 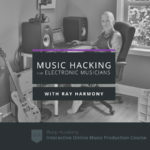 If you want to discover the method behind composing flawless bass lines and chord progressions, access simple shortcuts to relevant theory for electronic music and learn how to make songs that stand out musically, then definitely sign up for our newest course Music Hacking for Electronic Musicians with Ray Harmony. Music Hacking for Electronic Musicians is for everyone from complete beginners to professional producers who make music by ear and want to learn how to use the power of music theory to elevate their songwriting. This course will inspire and empower you to confidently create faultless songs on a watertight foundation of music theory. Read more & register here!